Smart lighting forms the heart of any smart home setup, but there exists another category of lights that’s equally cool, even helping you save on your electricity bills. I’m referring to sensor-based lights, and if you haven’t considered these for your home yet, I seriously think it’s time you take a closer look. I’m a big fan of home automation, and just recently, explored a few lighting options that utilise motion sensors for turning on and off automatically. So when presented with the opportunity to try out a new sensor-based light from Yeelight, I jumped at the chance. 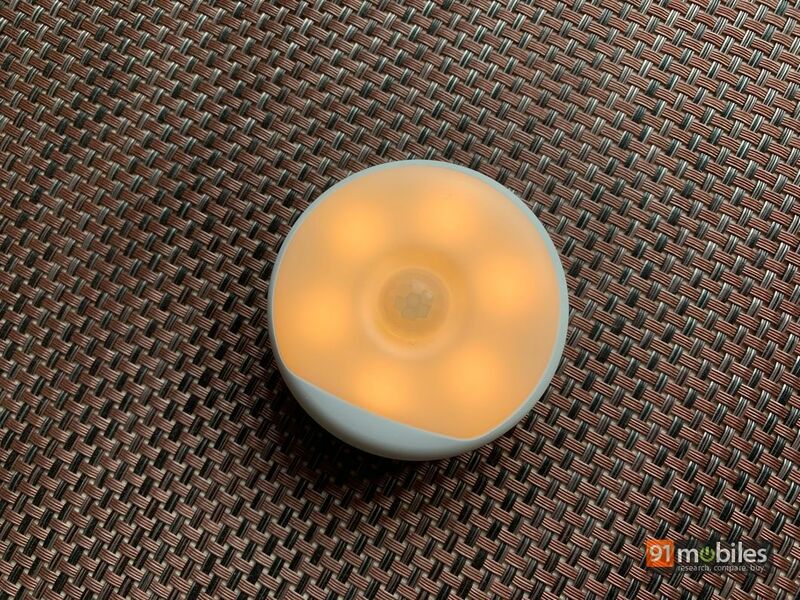 Xiaomi-backed Yeelight is a well-known lighting brand in China, and has recently forayed into the Indian market with a portfolio comprising smart bulbs (review), a lamp (review) and strips. 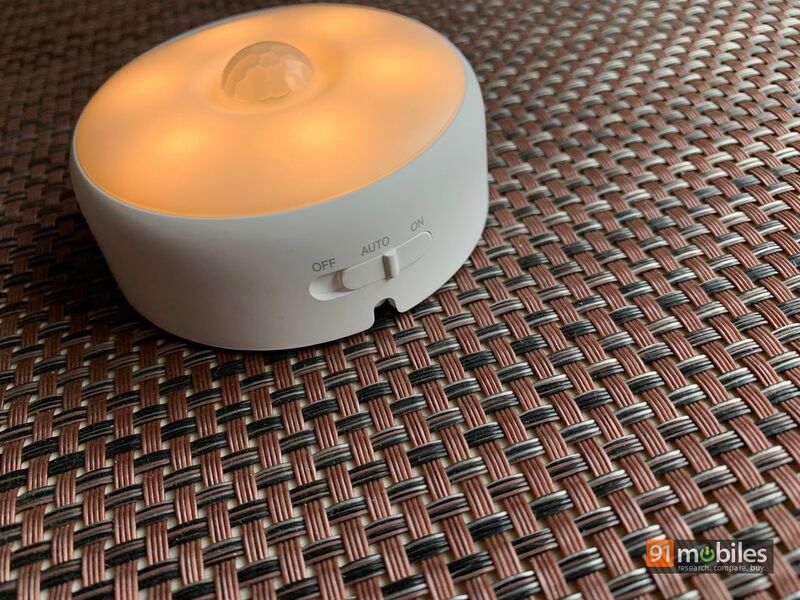 The Motion Sensor Rechargeable Nightlight is one of the latest offerings in India from Yeelight, and while it isn’t smart in the true sense, does exactly what the name suggests. 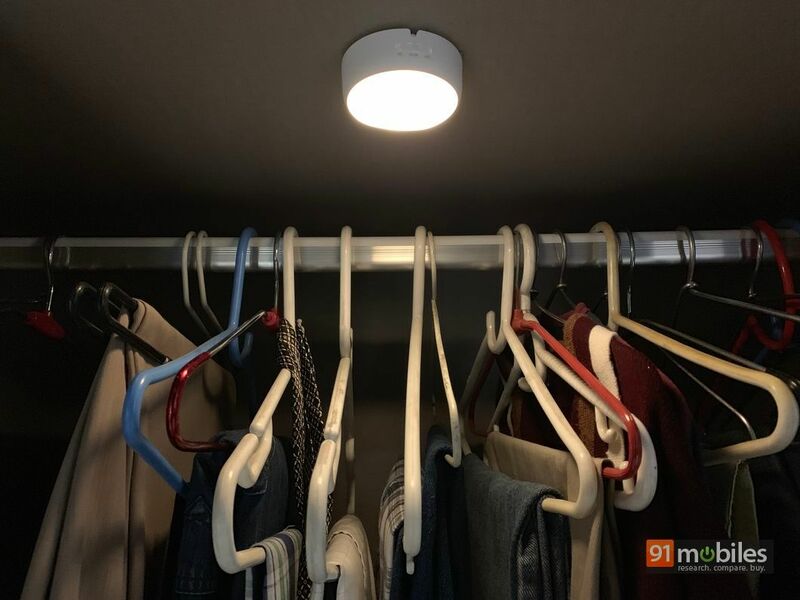 Most motion sensor-based lights and devices use what’s called a PIR (Passive Infrared) sensor to work, and the Yeelight Nightlight is no different. The circular light is pretty compact, and packs in a 750mAh rechargeable battery for power. There’s a micro-USB port on the side for charging, and the required cable is included in the box. One of the best things about it is the fact that you get three mounting options to install it. 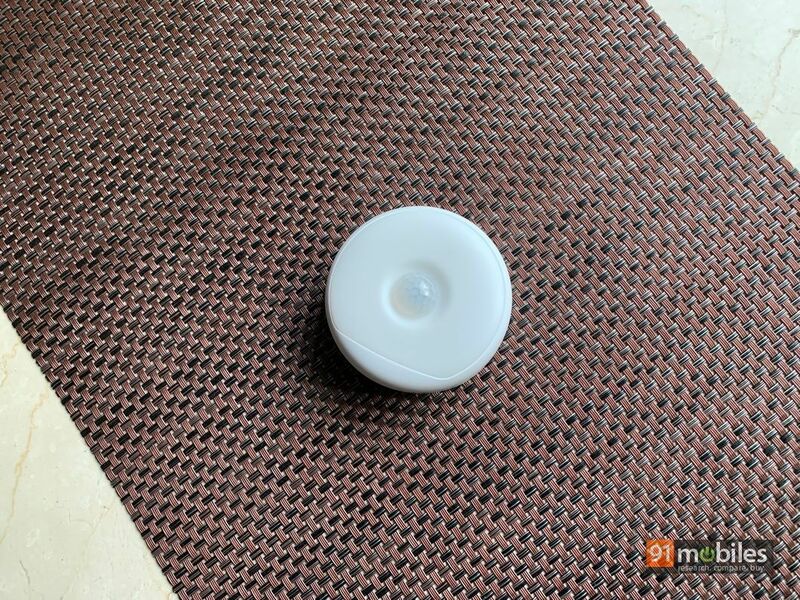 The light has a magnetic back, so you can stick it on an iron surface directly. 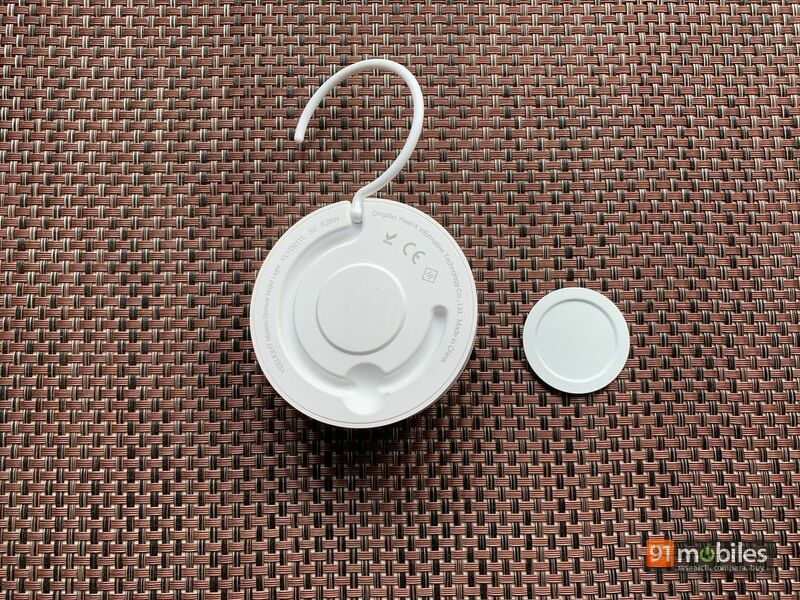 A metal disk with an adhesive back is also included in the package, and that can be used to mount the Yeelight device anywhere you wish. Just stick the disk on to a clean, flat surface, and then attach the light to it magnetically. The Yeelight also features a folding plastic hook, which can be used to hang it inside cupboards or wardrobes. On the side is a three-way slider switch, with on and off on either side and ‘Auto’ in the middle. Again, these modes are pretty self explanatory, with the Auto mode being the most interesting since this is the one that makes use of the PIR sensor to activate the light automatically. 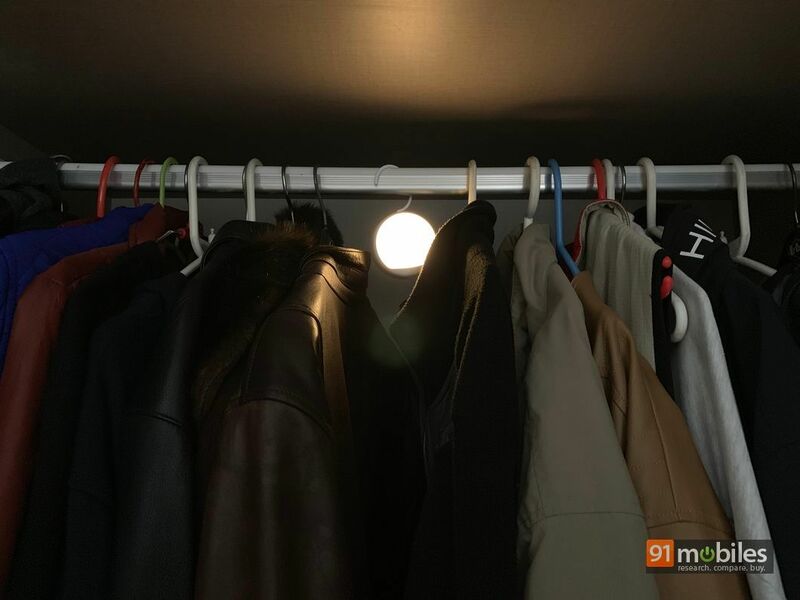 One of the main use cases of the Yeelight Motion Sensor Rechargeable Nightlight is hanging it inside a wardrobe, in which case the light will come on automatically when you open the door (provided the switch is set to Auto). You can also use it in a hallway, or stick it somewhere near your bed so it functions as a night light and switches on when you get up in the middle of the night for a midnight snack or a trip to the bathroom. The device emits a warm light which doesn’t get too bright, but should suffice for illuminating the inside of a wardrobe or as a nightlight. The built in battery is rated to last up to 120 days on a single charge, and I’m not going to contest that claim as I never charged it even once during my 10-day testing period. 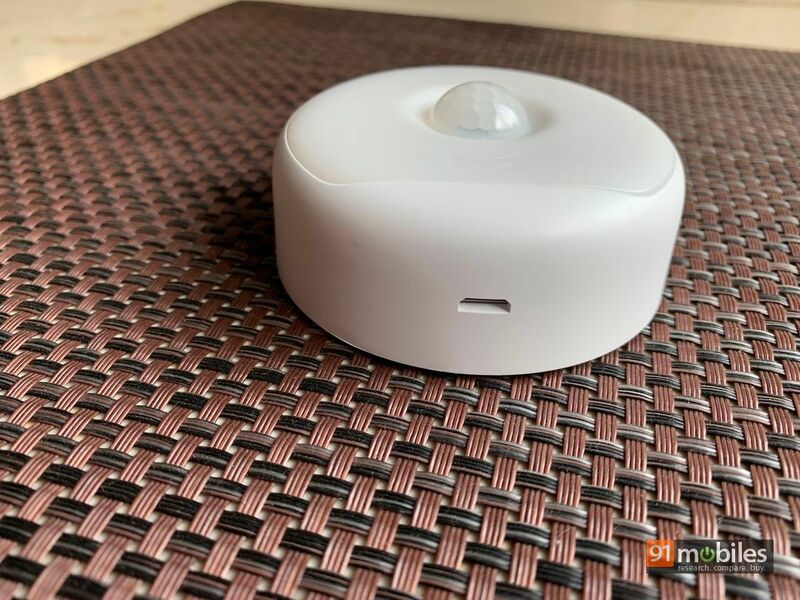 I can definitely vouch for the light’s sensor being quite sensitive, as it was able to detect the tiniest movement and activate the device even from up to a distance of 10-12 feet. Worth mentioning that the device doesn’t turn on at all in case the surroundings are brightly lit. So while the Yeelight Nightlight does work as advertised, I think it’s a tad overpriced for its asking price of Rs 1,599, especially since there are quite a few other options available for lower. 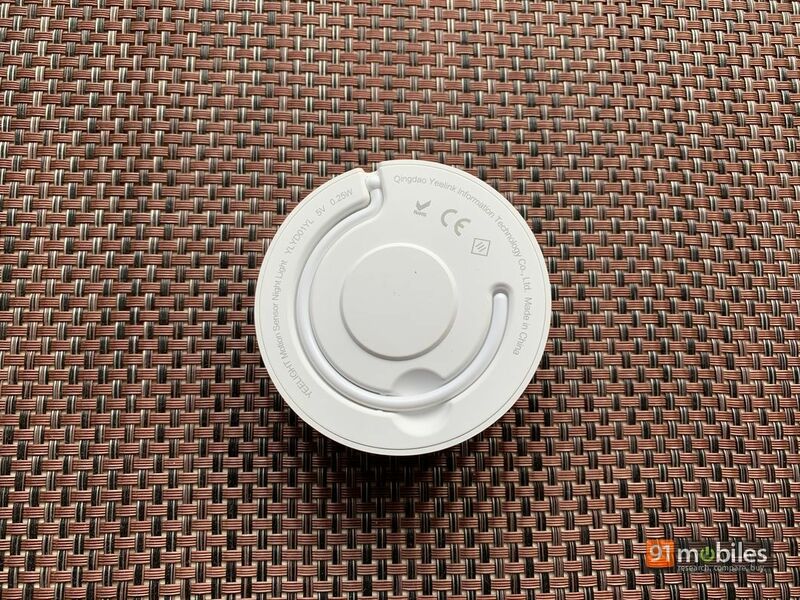 One search on Amazon India will throw up a bunch of options for sensor-based lights, in different designs, form factors, and mounting options, in both battery-operated as well as rechargeable varieties. While I can’t possibly compare all of those with Yeelight’s offering, I did try out one from a brand called IFITech. This bar-shaped light comes with 10 LEDs, a PIR sensor and a rechargeable 850mAh battery. 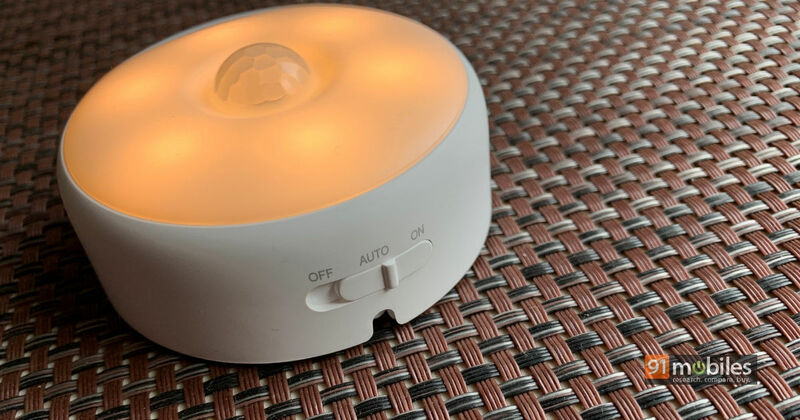 The light is priced a tad lower (Rs 1,350) and is much brighter than the Yeelight Motion Sensor Rechargeable Nightlight, but doesn’t match up when it comes to the sensitivity of the sensor and battery life. 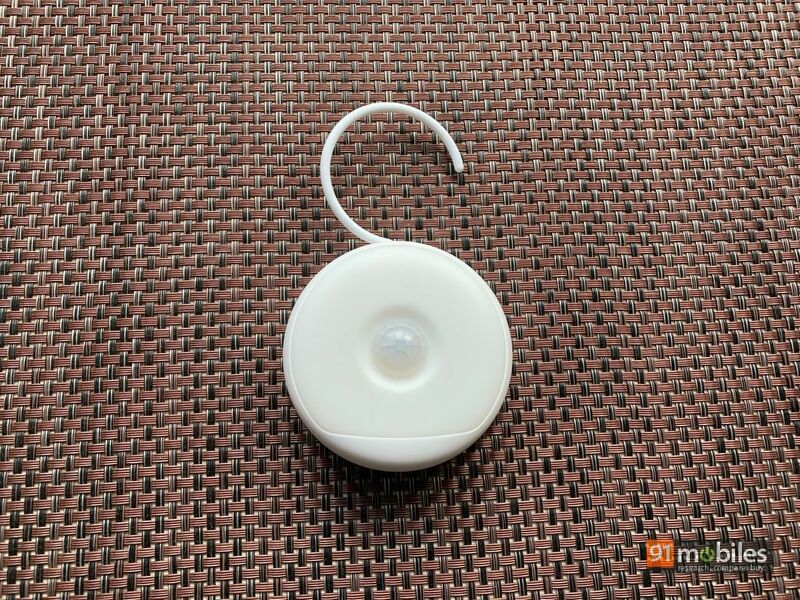 To sum it all up, the Yeelight Motion Sensor Rechargeable Nightlight is a useful addition to any home in my opinion, provided the mentioned use cases match your requirements. Just wish it was brighter and priced a little lower, though I think the higher cost is justified given how well it works.